Fladry: Wolves have killed cattle both within and without fladry fencing. The largest area fencing can cover is 40 acres. Trampling of calves and smaller cattle within small fladry corrals is common. Range Rider program: The Range Riders are often good at finding dead cattle, but not at preventing attacks. A range rider may be effective for a limited time depending on the factors of terrain, the available GPS collar data and road access. The program is also cost prohibitive. 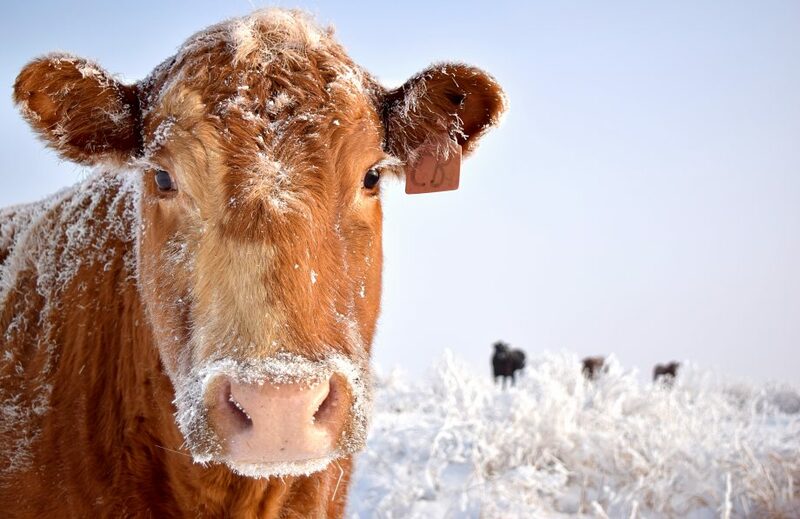 At $22,000 per range rider (roughly $100 a cow in a recent test case), the total cost to protect Stevens County’s 23,000 head would be $2.3 million annually. For the region, the cost would be $7.5 million. Rag boxes: Rag boxes only go off when the wolf is within a certain proximity and essentially within a straight line of the box. In uneven terrain, it can be difficult to get enough coverage with the boxes to be effective. Guard dogs: Are impractical for cattle which don’t bunch up at night like sheep. Cows are also unlikely to be comfortable with the presence of a dog after being harassed by wolves. The only benefit to the producer of agreeing to a legally binding contract is the promise of compensation. Compensation funds are limited and can only be accessed by “confirmed” depredation. Earlier this summer, the predator depredation fund in Washington State only held $130,000 ($50,000 state, $80,000 federal money). The losses at the Diamond M Ranch near Laurier this summer could have easily drained that account. The $50,000 from the state was a one-time infusion by the legislature that is not likely to happen again due to the projected $1 billion shortfall in the state budget in the coming biennium. Compensation can only be accessed if the rancher has a “confirmed” depredation by WDFW. The confirmation is not made by agents in the field, but by a panel of “experts” who were not present at the scene. These “experts” denied the Diamond M losses for several months this summer until the losses to the ranch topped $100,000. In Oregon, once producers started taking compensation, the Oregon Fish and Wildlife Department began to have a harder time confirming wolf depredations. Instead, they have deemed incidents as “probable” to avoid lethally addressing wolf problems. When producers take compensation, it can set a precedent for lawsuits that prohibit good wolf management. In Oregon, the fact producers were taking compensation for depredations allowed three environmental groups to sue the state when it planned to take out problem wolves. The lawsuit, headed up by Cascadia Wildlands, called for ODFW to cease and desist in their plans to remove two problem wolves from the Imnaha pack, siting that the only damage from letting the wolves live would be economic. Since ranchers were taking compensation, there essentially was no economic damage, the suit argued. A judge agreed with Cascadia Wildlands and the two problem wolves are still at large in Oregon.